HERSHEY — Susquehannock girls’ lacrosse coach Steve Marshner knew he was going to sound a little cliché saying it, but he couldn’t think of any other way to describe the feeling. Heading into Wednesday’s meeting with Kennard-Dale in the District 3 Class 2-A championship game, the Warriors had never beaten the Rams. There were close encounters, but every single time, K-D found a way to come out on top. Football has helped make York County into a District 3 girls’ lacrosse power. Sounds slightly absurd, doesn’t it? Well, it’s not quite as absurd as it sounds at first blush. 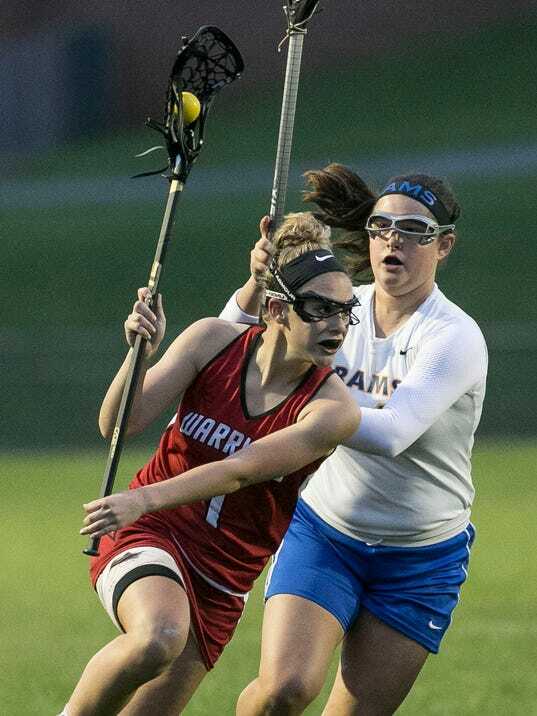 MILLERSVILLE — Through the first two rounds of the District 3 Class 2-A girls’ lacrosse tournament, Susquehannock had yet to receive a challenge from either of its two opponents. For about the first 20 minutes of Monday’s semifinal contest against No. 4 seed Hershey, the top-seeded Warriors seemed to finally have met their match — an opponent worthy of making them sweat out a game over the full 50 minutes. Then, the final 30 minutes played out like Susquehannock’s first two games. 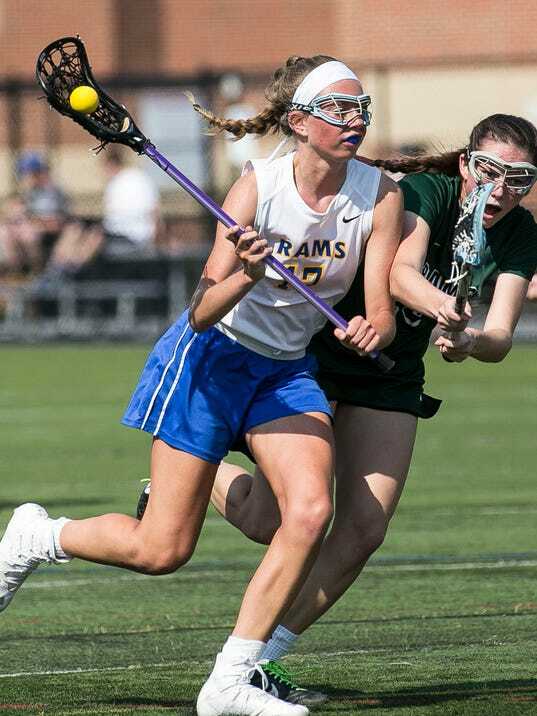 GLEN ROCK — Shortly after Kennard-Dale earned a spot in the District 3 Class 2-A girls’ lacrosse title match, Rams’ star Emmie Dressel gave a shout out to teammate Megan Halczuk. Kennard-Dale senior attacker Emmie Dressel has enjoyed a decorated lacrosse career that will soon come to a close. In her time with the Rams, she’s been a member of three consecutive York-Adams League championship teams, a District 3 championship and a few state qualifiers. 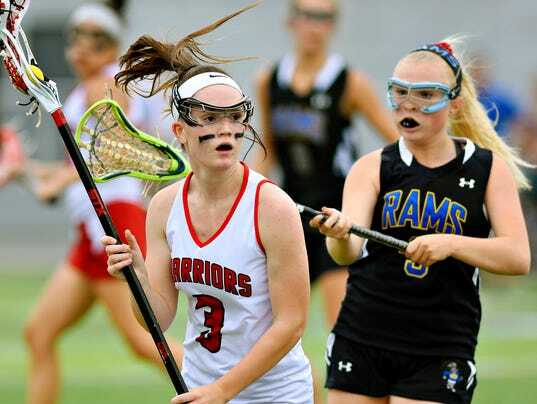 GLEN ROCK – The Susquehannock girls’ lacrosse team didn’t have to look too far for motivation after a disappointing loss in the York-Adams League semifinals against York Catholic. Shortly after that setback, coach Steve Marshner brought up the Warrior girls’ basketball team as a perfect point of reference for how to proceed. The basketball squad lost in the first round of the Y-A League playoffs before embarking on an historic postseason run that included a District 3 title.